Have you ever wondered if you could speak to those long gone? From the hit series America's Got Talent and Penn & Teller Fool Us, Master Magician Aiden Sinclair presents an exclusive evening of entertainment at the Historic Stanley Hotel! This 90 minute production introduces the audience to the strange world of Victorian Séance. 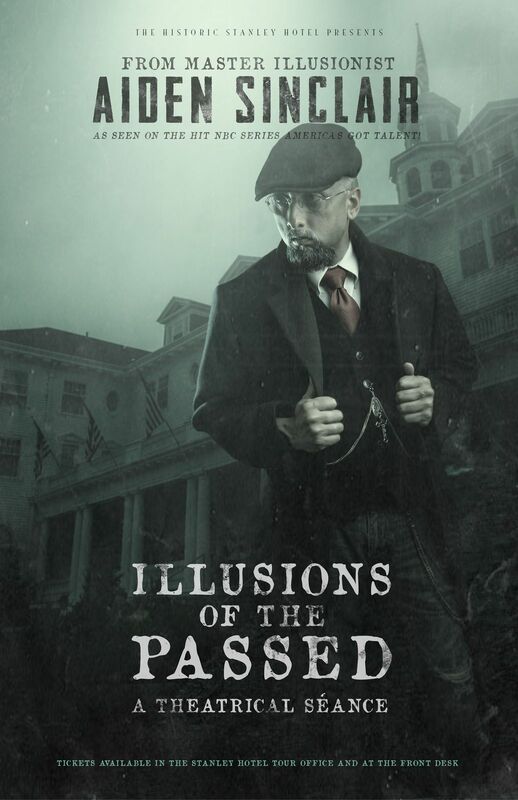 Aiden will take the audience on a journey through time to come face to face with historic guests of the Stanley Hotel! Authentic antiques and artifacts from iconic moments in history are used to give you contact with the Passed. Do you dare to hold a piece of the tragic Titanic or touch a cold artifact from the famous Jack the Ripper Case? Will you interact with the Ghost of the great Harry Houdini? Or stare into the sad eyes of a haunted doll? Don't miss this engaging evening of Haunts and History. Only at the Historic Stanley Hotel. This show is not appropriate for children under the age of 10.